​Located just 2 miles outside Elgin town centre and close to the bus and Train stations. This Premier Inn has free on-site parking and a Brewers Fayre restaurant serving great value fresh meals throughout the day. The hotel has family rooms available and offers good disabled access. 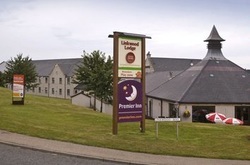 Book direct for the best Premier Inn Elgin deals.